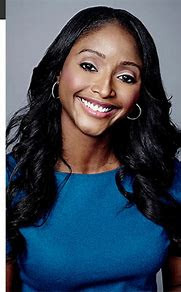 A CNN Africa journalist, Isha Sesay, has described the abduction of over 100 students from Government Girls’ Technical College, Dapchi, Yobe state, by Boko Haram terrorist group, as “a national disgrace”. 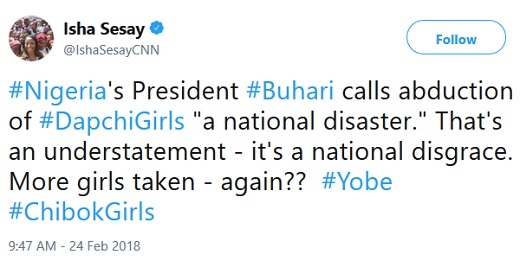 President Muhammadu Buhari had earlier described the incident as a “national disaster”, while promising that his government would do its best to ensure that every missing girl is found. But in a series of tweets, Sesay said Buhari’s description was an “understatement”. 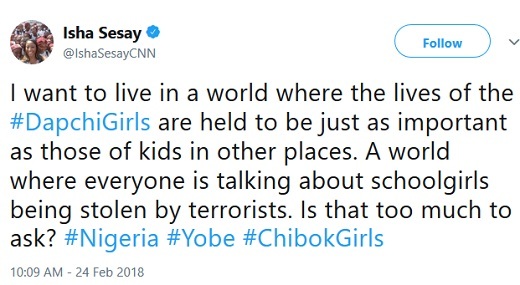 Sesay was in Nigeria during the early stage of the abduction of the Chibok girls. 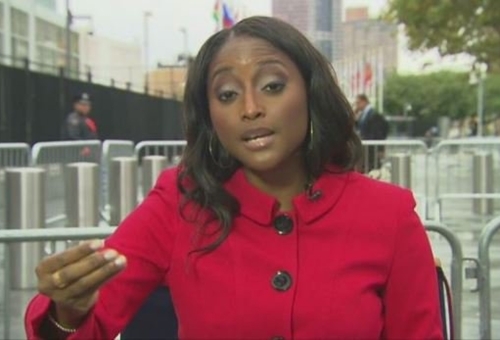 She did a series of reports on the plight of the girls and spoke to some of those who fled Boko Haram captivity.